If you have read several of the posts, you must think that we are fanatical people of C. elegans worms, obsessed with these small individuals. You may be right. However, over the years we have tried to work with various organisms. Our WMicrotracker system works very well with many other small organisms that have swimming behavior. In this section of our blog we will periodically update the information about the organisms tested successfully in WMicrotracker. Many of the examples that will be shown come from unpublished data and should be considered as personal communications. 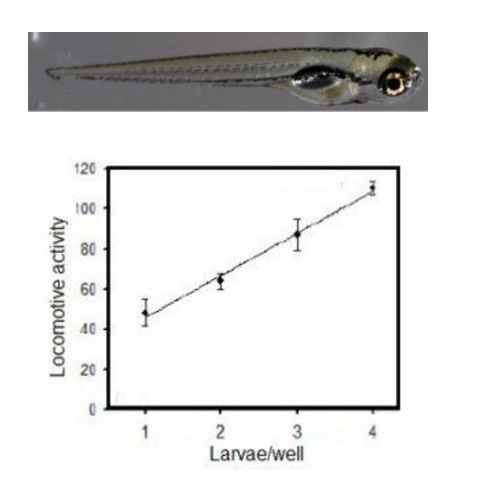 The zebrafish, was the first “non-worm” animal model that was proposed to measure in WMicrotracker. In this case, only with minimum adjustments of sensitivity could we easily detect and quantify the activity of Danio rerio larvae. To date, there are publications of our laboratory as well as other labs that have used the system in this fish. 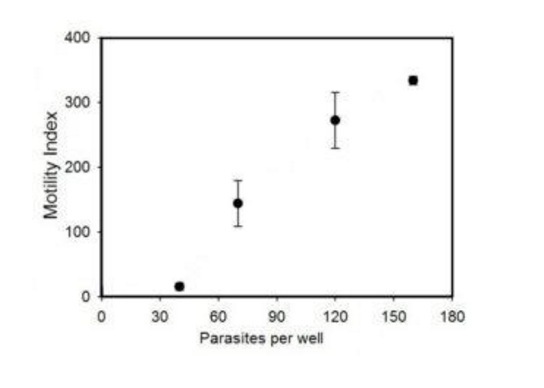 The following graph shows the results of measurement of zebrafish larvae in 96-well plate (approximately 3 larvae per well). 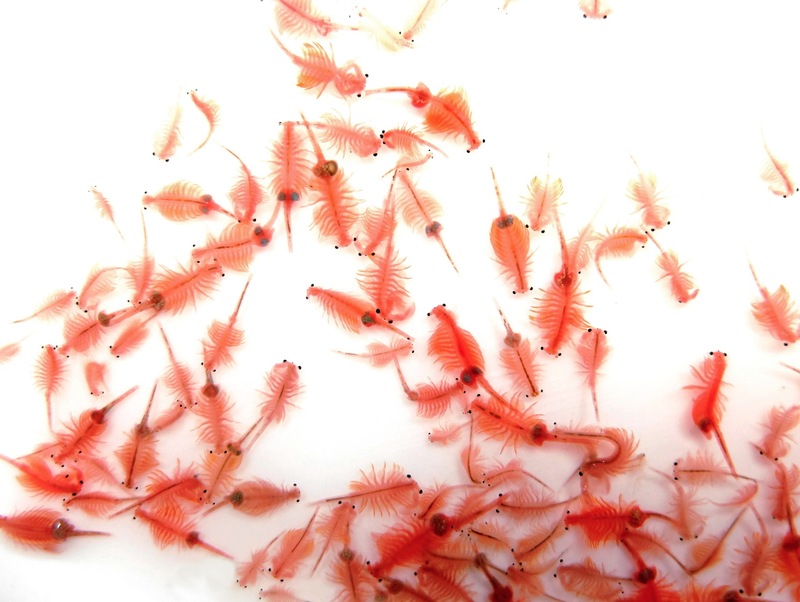 While preparing food for our fish, we came across a small crustacean called Artemia Salina. These organisms seemed so interesting that we decided to perform new biological tests on the WMicrotracker equipment, instead of using them as fish food. And you know what? We obtained good results using our standard algorithm. 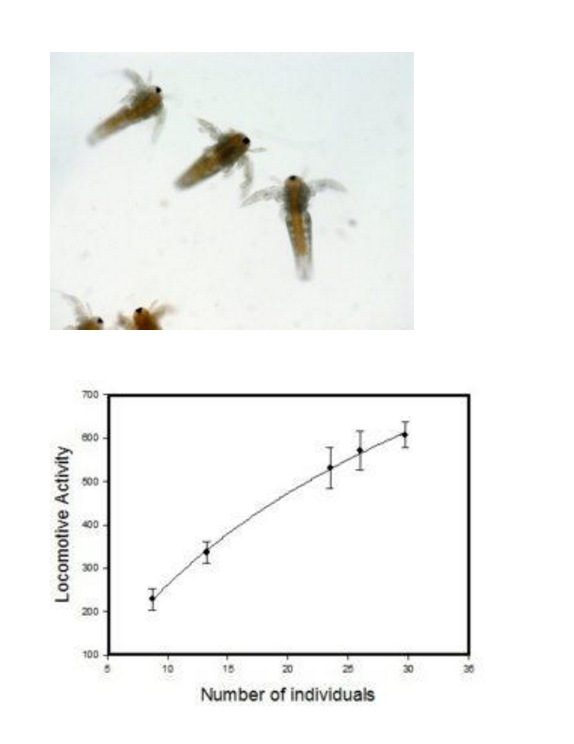 Artemia salinas along with Daphnia magna (their close relative) are models of invertebrates of choice for ecotoxicology studies. 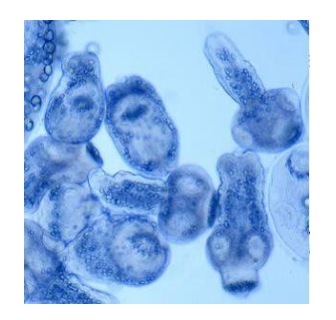 In the following image protoescólex of Echinococcus granulosus is observed. At this stage, the larvae measure approximately 100 um. They are 10 times smaller than an adult C. elegans that reaches 1000 um. Protoscols extracted from porcine cysts present a very different movement pattern to the free living nematode C.elegans.